Looking for habits to improve your parenting? Don’t set large goals. Use small, actionable habits that, over time, will help you improve. Stop losing my temper. Pay more attention to the kids. Find more time for myself. These are resolutions I’ve made at some point. But what happens? I forget or had too many goals to track, or I just lost motivation. These looming goals were too large to feel attainable, and I didn’t have a concrete plan to actually make them happen. But then I learned the power of small resolutions—microresolutions—to attain your parenting goals. Small habits aren’t overarching goals, but the little tasks you and I can implement today, right now. Rather than face a large goal too out of reach, break it down into small habits you can develop over time. They may seem too simple at first, but added up, they make a huge difference with how you parent. Think about all the interactions you’ve with your child, from morning until night. Throughout the day, find ways to squeeze in a hug. It doesn’t have to be for specific reasons like picking her up from school or saying good night. Times like when you’re hanging out in the living room, or after you see her doing something cool. Frequent hugs remind your child how special she is to you. Silly as it may seem, kids wonder whether we’ll always be there for them, misbehavior and all. Plus, they’re so young, they don’t always think with logic or understand our words. 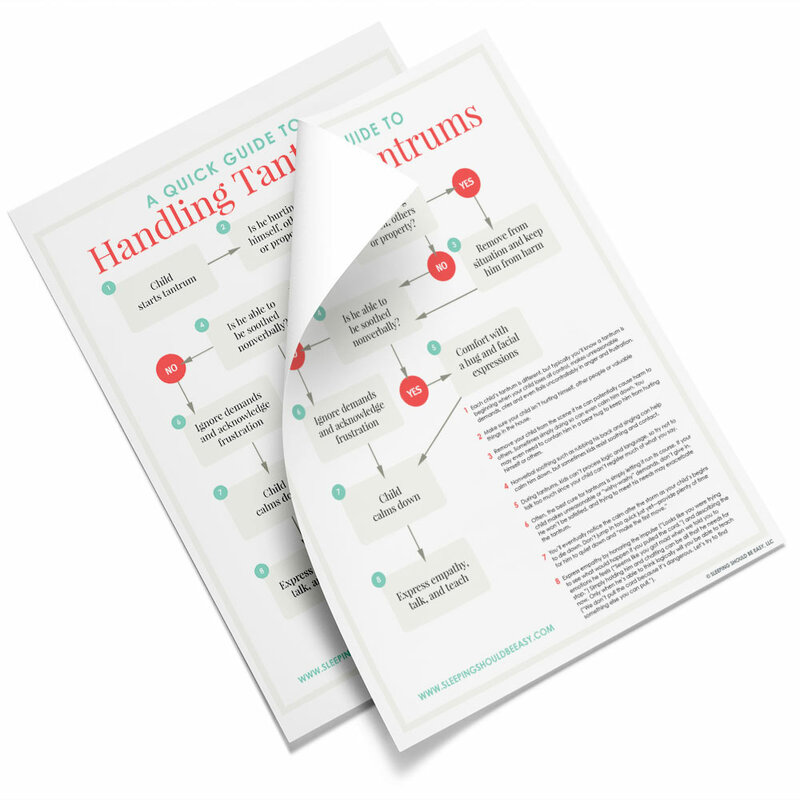 Nonverbal communication like hugs and facial expression can stop tantrums in their tracks. Action plan: Hug your child 10 times today. Another habit is to eat your meals together. Family dinners offer a ton of benefits, from reducing obesity to better grades. Family dinners offer another way for you to connect with your child. You focus on her rather than trying to multitask on cooking dinner or working on your computer. The consistency of the family dinner keeps them rooted to their parents. Many parents prefer to feed their child at 5pm, then take their dinners much later, around 8pm. That’s understandable—I did this too for a little bit, especially with young infants. Eat at the same time, even if you spoon-feed your infant, you can alternate with your meals as well. What to avoid? Allowing your child to eat meals alone, whether at the dining table, in front of the television, or in her room. Make sure at least one adult keeps her company while she eats. Action plan: Eat dinner together at the dining table five days this week. I’ve seen first-hand how much my day can change when I’m not distracted by electronic devices. I’ve been mostly good with keeping the computer off, but my phone is something else. I suppose it’s because it’s so small and somewhat discreet that I can tuck it in my pocket for a quick glance. Except I don’t stand a chance to improve my parenting if I do that too often. After a while, I get irritated if they ‘interrupt’ me, rather than empathize and be patient. Spend a few hours of the day with your phone in another room while you’re with your kids in another. Yes, sometimes it gets boring. But, you’ll find yourself better engaged and more attentive without the distraction. Action plan: Today, put your phone in your bedroom. Read more about coping with parental boredom. Sometimes the best way to improve your parenting means being away from your kids. Yup, you read right. Do your kids go to bed the same time as you? Push their bedtime earlier so you have a few hours to yourself. By balancing it with the rest of your life. After all, before becoming a mom, you held other hobbies and interests. You also have responsibilities and tasks to do. 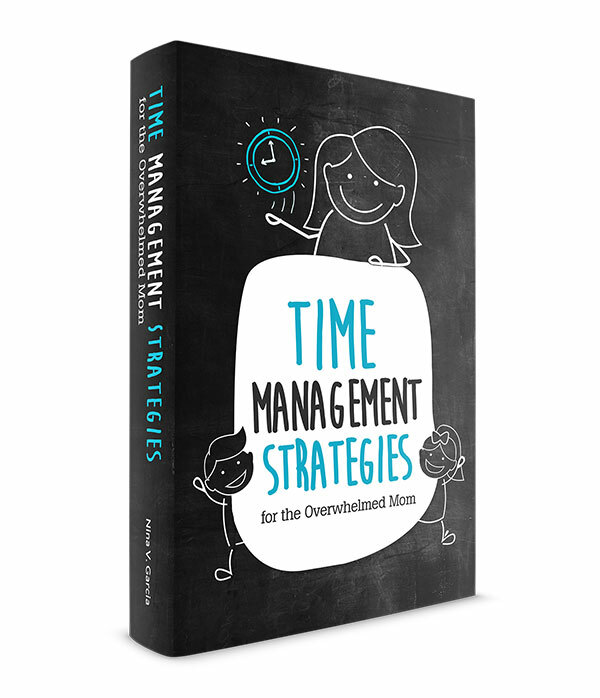 Use the hours between the time your child goes to bed and your own bedtime for that. We get overwhelmed with parenthood when it feels like we have nothing else but that. Counter this with finding time for yourself. You’ll feel more excited to be with your kids when you devote time to your own interests as well. Action plan: This week, put your kids to bed earlier than your own bedtime. Read 6 reasons motherhood is hard. You’re resolving to improve your parenting for the new year. Or you want to improve your relationship with your child. The most effective way? Practice simple habits. Things like eating together as a family and giving frequent hugs. Limiting distractions and learning how to make time for yourself. 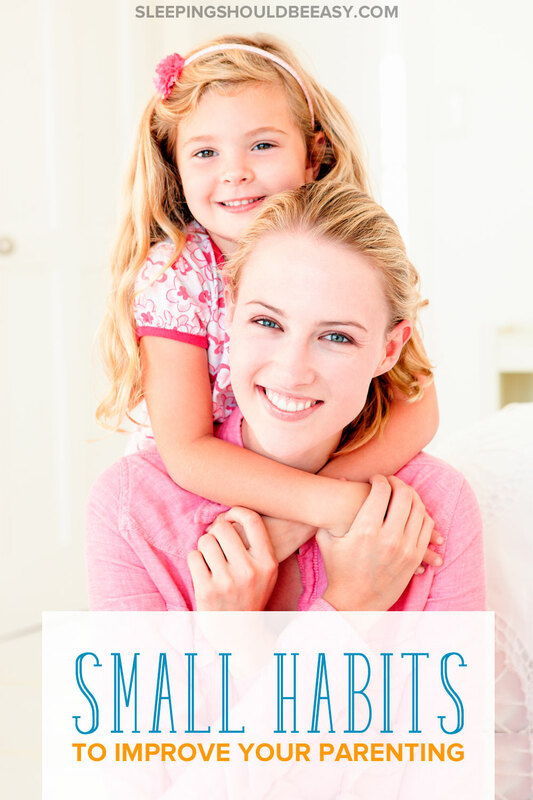 They may seem small at first, but over time, they become daily habits that add up to better parenting. Tell me in the comments: How do you want to improve your parenting? I’m a huge advocate of family dinner time. We don’t always get time to do that, but it’s one of my favorite parts of the day. Definitely going to take the advice to give more hugs, though. Little kid hugs are awesome! I’m proud to say these are habits here!! 🙂 YAY!! The phone is a big thing, but I swear it’s nice to let it go for a few hours to immerse yourself in family time. Over the holiday I left my phone in my room every day, I did check my phone occasionally but it wasn’t a priority- it was nice. Makes such a huge difference, doesn’t it? My middle son is the one who really needs touch during the day. And his favorite way? Tickles!! He squeals and squirms and loves every second about it. And then he says, “Stop.” and I do, right away. Because he needs help learning that “no means no” also. Then he’s begging for more. It’s really helped our relationship! Aw that is so sweet Rabia! And yep I’m with you about stopping when they say stop. I have to remind people to actually stop, even if the kiddos are saying it with a laugh. I love this. I’ve been doing these three things lately, and definitely beating myself up over the times I didn’t. My kids are seeing a better me, and it’s very healing for us all, I think. I Love ignoring the phone! Aw don’t beat yourself up too bad Tamara! We’re never perfect. But yes, the more we do it, the better we can connect with our kids.